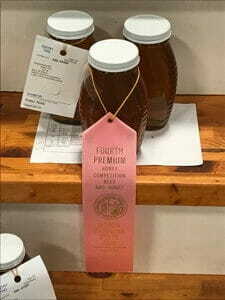 This years honey has taken 4th place at the NC State Fair. It was a very close competition with many excellent honeys entered. We are very proud to have scored so well. Stop by the Beekeeping Area in the Ag Building and take a look at all the winners and display booths while you’re at the fair.